Editor's note: An earlier version of this story misidentified the mapmaker that Bosch is working with. 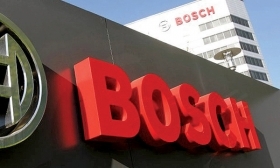 And it explains why companies such as Bosch, Continental, Magna and Autoliv — the mega-suppliers that dominate the Automotive News list of the top 100 global suppliers — are promoting their ability to integrate the necessary array of sensors, computer chips and software. Bosch, the No. 1 company on Automotive News' top suppliers list, with US $46.50 billion in original equipment sales in 2016, generates annual sales of more than 1 billion euros (US $1.12 billion) for the sensors, software and actuators needed for collision avoidance and self-driving vehicles. The company also has announced plans to manufacture vehicle processors with Silicon Valley's Nvidia and is working with digital mapmaker TomTom to develop crowdsourced road maps. Magna International is the largest supplier in North America. 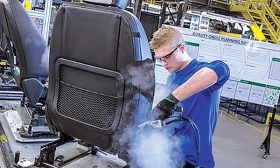 ZF Friedrichshafen — ranked No. 2 globally, with 2016 original-equipment parts sales of US $38.47 billion — roiled competitors in 2014 with the US $12.4 billion acquisition of TRW Automotive, a key producer of radar, cameras and brakes. Last year, chipmaker Qualcomm Inc. disclosed a US $38 billion bid for NXP Semiconductors, the auto industry's top supplier of semiconductors. And this year, Intel Corp. announced the US $15.3 billion takeover of Mobileye NV, the top producer of obstacle-detection software. In 2015, Delphi Automotive (No. 12, with US $16.66 billion in global sales) bought Otto- matika Inc., a Pittsburgh supplier of automated-driving software. Canada’s Magna International, anticipating growth in AVs, has already invested C $5 million an artificial intelligence research centre in Toronto and owns a stake in a U.S. company developing vehicle-to-vehicle technology that would improve the fuel efficiency of commercial trucks. The Canada-based supplier is No. 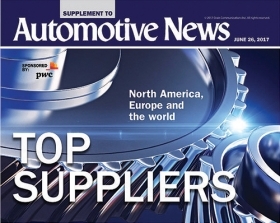 3 on the Automotive News’ 2017 list of top 100 global suppliers. Magna Electronics Vice-President Joel Gibson says the total market value for camera-based driver assistance systems alone is “growing very quickly” due, in part, to semi-autonomous driving and he expects it to be worth about US $10 billion per year by 2020. That has been a windfall for Autoliv Inc., the world's top airbag producer, and also a major supplier of radar and cameras. Autoliv's active safety electronics division reported sales of US $740 million last year, up 17 percent from 2015. The company expects sales will grow 15 percent annually through 2020.